Virginia Right! 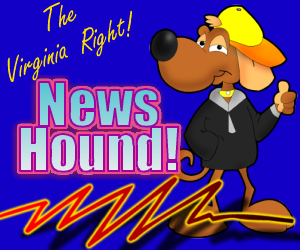 News Hound for 4/16/2010 | Virginia Right! The Virginia Right! News Hound surfs the ‘net to take the pulse of the world every day. The links published below are opinions and takes on the news that we find interesting. By design, these links are mostly outside of the Mainstream Media. This feature is designed to save you the time of sifting through dozens of websites and blogs. Buckle up. It is going to be a bumpy ride! The clock is run out. The time is now. Conservatives must unite immediately to save Indiana. Daun Hester a tea bagger?